General services are described on the website, with limited services available to members of the public. Members of the profession can access some subscriber-only publications and databases, including resources such as US and Canadian legislation and case law, and scholarly publications like the Current Issues in Criminal Justice. This initiative expands access to this information to all Victorian legal practitioners who create a log-in account, reducing overheads and improving access to justice. 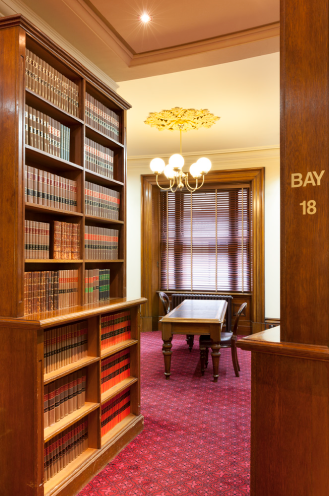 It is a valuable addition for busy practitioners for whom a visit to the Library is not practical or timely, especially suburban and regional lawyers. We send email updates when new content is added to the portal, as well as alerts to Library news, training and events you may find interesting. You can unsubscribe at any time. 2. Those Australian Legal practitioners whose principal place of practice is in the State of Victoria, and are on the Local Legal Profession Register (subject to the practitioner continuing to remain on the Register).